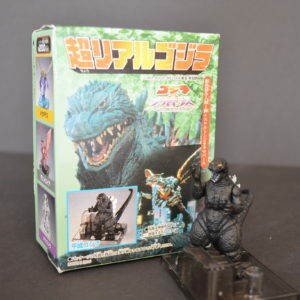 This Bandai “Candy” toy series (named because each box contains a little packet of candy) was produced in 2000 for the release of the Toho movie Godzilla vs Megaguirus. 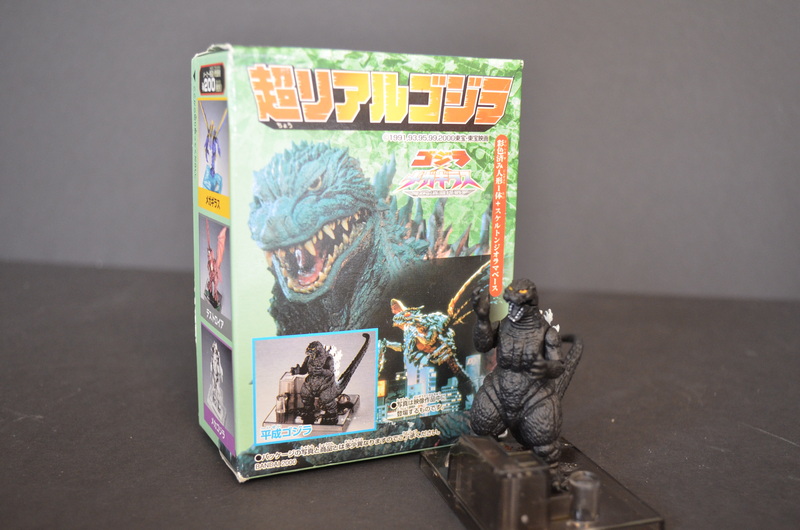 The Super Real Godzilla series had 6 figures in individual boxes. 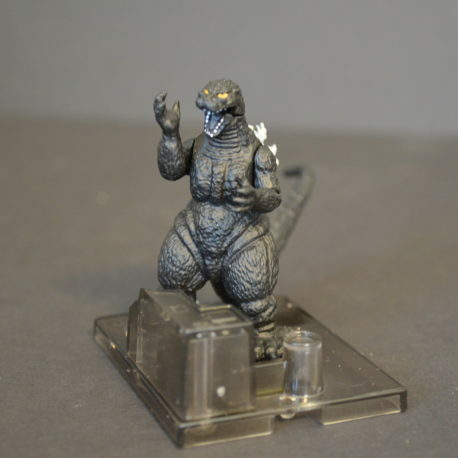 This is the Heisei style Godzilla (Heisei refers to the time period which in Japan is based on the Emperor’s reign, the current Emperor’s time period is Heisei). So the style refers to godzillas from 1989 forward. The figure stands about 3 1/2 inches tall. 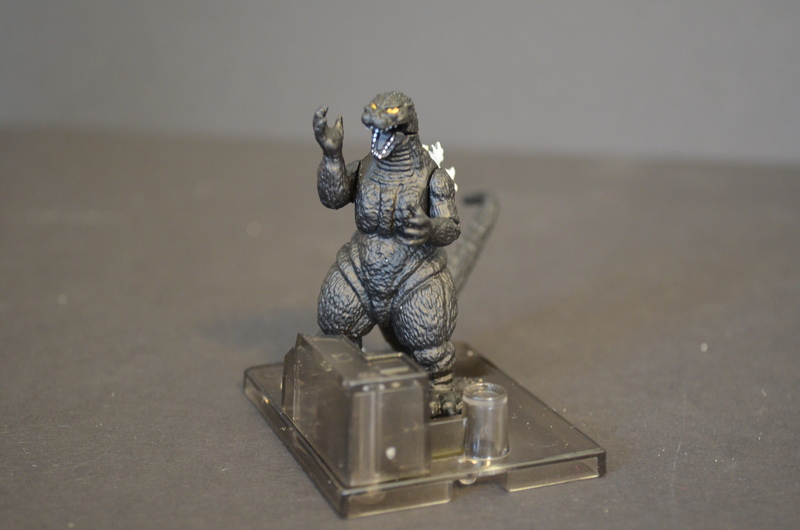 Godzilla stands on a cityscape diorama base. Each figure requires easy snapping together. The parts are vinyl and plastic. The series is out of production and hard to find.